A Solo 401(k) is an employer-sponsored retirement plan that allows self-employed individuals to contribute up to $56,000 pretax, including $19,000 of employee deferrals. How to set up a Solo 401(k) requires just six steps that hinge on picking a provider, but having just one participant makes it possible to complete in just a matter of days. Spark 401k is an experienced 401(k) provider that allows entrepreneurs to maximize their retirement savings at an affordable price. Clients get access to a low-expense, diverse, high quality fund line-up and an easy to use online portal. Spark 401K has a one-time setup fee of $150. When setting up a Solo 401(k), the most important step is picking a good provider. This is because the provider will supply your investment options and help administer your plan and also because the provider will help you through the remaining steps. To learn more, be sure to check out our article on the Best Solo 401(k) Providers for 2018. A Solo 401(k) or Individual 401(k) is a plan specifically designed to have just one participant, which is the only qualification requirement. The only participant in a Solo 401(k) is the business owner (and potentially his or her spouse). Individual 401(k)s are not available if you have full-time employees who would be eligible for a 401(k). A Solo 401(k) is relatively easy to open because you’re the only participant. Many of the costs associated with a Solo 401(k) are competitive to other investment options you may have while giving you much more investment flexibility. Plus, these plans are much easier to administer than a traditional 401(k), and your provider will be there to help you set up and administer the plan. Because IRS regulations say Solo 401(k)s can only have one participant, these plans are only appropriate for self-employed individuals and small business owners who have no full-time employees. Solo 401(k)s can be the best option for entrepreneurs who make less than $75,000 per year. This is because Solo 401(k)s have the same dollar contribution limit as SEP IRAs. However, in a Solo 401(k), you can contribute more than 25 percent of your pretax income, which isn’t allowed in a SEP. Generally, SEPs are more attractive for people who make more than $75,000 per year. Solo 401(k)s can also be better than alternatives (especially SEPs) if you think you may hire employees in the future. This is because if you have a SEP IRA and hire employees, you are required to make contributions for all of your employees whenever you make contributions for yourself. If you have a Solo 401(k) and you hire employees, you can convert your plan to a Traditional 401(k) easily to accommodate new participants. Spark 401k is an experienced provider of both Solo and Traditional 401(k) plans, so you can convert your plan to a Traditional 401(k) as your business grows. Spark 401k costs 66% less than the industry average. Get in touch with an expert today. The next step, and possibly the most important, of how to set up a Solo 401(k) is to identify a good provider. Be sure to consider reputable, low-cost companies that can meet your specific needs. If you want added flexibility to invest in assets like real estate, there are alternative providers who can help you establish a self-directed account. Business owners who want a Solo 401(k) have unique concerns that differ from companies wanting to use a Traditional 401(k), SEP IRA, or another alternative. These plans are all about your future individual goals and future business plans. You’ll need a provider that you can afford but also one that has a strong reputation for administering Solo 401(k)s.
Cost-effectiveness – You don’t need to choose the provider with the lowest fees but understand that paying unnecessarily high fees will impact your account balance over the long-term. Good reputation – Many Solo 401(k) providers are national firms with long histories. Others are smaller companies that specialize in alternative investments or additional services. No matter the size, make sure you work with a reputable company that’s properly registered and has a good track record. Adequate investment flexibility – Investors have different investment strategies and goals. Be sure to choose a provider that will give you access to the investment options you want. You may already have relationships with brokers or firms that could show you how to set up a Solo 401(k). If you do, consider their offering to see if it meets your needs. If you don’t have a relationship or don’t like what they offer then you should look for a cost-effective, reputable company to help you. Most people looking to set up a Solo 401(k) just need a simple, straightforward plan with low costs. If you know that you specifically want to invest in alternative assets, research providers that offer self-directed accounts or checkbook control. If real estate is an especially alluring investment, be sure to check out our article on using a Self-Directed Solo 401(k) for Real Estate Investing. We’ve researched the best Solo 401(k) providers in the market today, and have narrowed them down to a few of the most reputable and high-performing companies. You can read an overview of some of the best providers below. For more information, check out our article on the Best Solo 401(k) Providers. Vanguard is the largest mutual fund company in the world with more than 100 low-cost mutual funds and more than $4.5 trillion in assets under management. In addition to its line of mutual funds, target date funds and ETFs, Vanguard also offers simple, cost-effective retirement accounts including Solo 401(k)s.
Although Vanguard is extremely cost-effective and has a great reputation, they don’t offer additional services that might be helpful to a small business owner. There is no business banking or individual investment guidance, and they also don’t allow account holders to borrow against Solo 401(k) assets. However, Vanguard is an ideal provider if you want to focus on passive investing in low-cost, professionally-managed mutual funds. Charles Schwab is a huge financial company that offers a vast array of services. It has its own line of mutual funds and ETFs plus securities brokerage services, individual investment advice, business banking, and other services. It doesn’t charge account maintenance fees and waives trading commissions on its own mutual funds and ETFs. Schwab is a terrific alternative if you could benefit from additional services like business banking outside of your Solo 401(k). Boston-based Fidelity is the largest privately-owned financial services company in the world. It is extremely reputable and provides enough services to be a one-stop-shop for small business owners. Like Schwab, Fidelity has its own line of mutual funds along with securities brokerage for you to trade individual stocks, bonds and ETFs. Fidelity is a good option if you need business banking and investment advisory services in addition to your Solo 401(k). MySolo401k is a great alternative provider that specializes in Solo 401(k)s for self-employed business owners. Because it specializes in niche investments and has additional costs, MySolo401k is best for sophisticated investors who know what they’re doing and want to invest specifically in alternative assets like real estate. If you have a Solo 401(k) through MySolo401k, you will have access to many add-on services including lending facilities as well as tremendous flexibility among investment options through a self-directed account. However, these additional investment options come with added costs. TD Ameritrade is another good provider of Solo 401(k)s. Although it does have some offices around the country, it isn’t in every market physically and its services are offered mostly online. TD Ameritrade’s core offering is securities brokerage, so it may not be your best option unless you want to actively trade stocks in your Solo 401(k). TD Ameritrade is a great option if you already have a relationship with the company or want an alternative to Fidelity or Schwab that also offers in-person guidance. After you select a provider, you need to complete paperwork from your provider that will come as an “employer kit” or “employer application” in order to set up a Solo 401(k). Within this paperwork will be a significant item — a “plan adoption agreement” or similar document — which is how to set up a Solo 401(k) formally. This is a huge document, and it’s important to have a provider you trust to help walk you through the plan creation process. 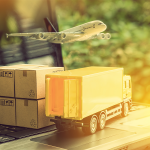 In addition to personal information and information on your business, this paperwork may include certain items that would go on IRS Form 5500, but you won’t need to file this form until you have $250,000 in your account or have additional plan participants. You’ll need to make elections on your investment options during this phase of the process but they can be changed later. To the IRS and other regulators, a Solo 401(k) is just like a Traditional 401(k) with only one participant. So, even though you don’t have employees who can participate in your Solo 401(k), you will need to prepare disclosures that contain certain information on the plan and the benefits of tax-free savings. While these disclosures may not seem necessary in the near-term, they are still required for all 401(k) plans — even those that only have one participant. This is because, if you ever hire personnel, your Solo 401(k) will automatically convert to a Traditional 401(k) and become subject to additional rules including employee disclosures requirements. That way, disclosures will be ready whenever employee becomes eligible. General 401(k) disclosure – The IRS wants to make sure employees understand how employer-sponsored retirement plans work, such as around the tax benefits and so on. Details about your plan – You need to provide employees with specific information on your plan including where accounts are being held and available investment options. Employee rights and responsibilities – Employee disclosure need to include information about available matching (even though you won’t have formal matching while you’re the only participant), timeline for employer contributions, eligibility information and any vesting schedules you want to use. Once you’ve chosen your provider and formally adopted a plan agreement for your new Solo 401(k), the next step will be to open and set up your Solo 401(k) account with your provider. This account can be formed any time prior to your tax-filing deadline (including any extensions) and needs to be formed in accordance with any guidelines in your plan documents. Technically, you’re allowed to set up a Solo 401(k) account after the year ends and make prior-year contributions. However, it’s typically better to set up a new account in the same year that it will be effective and make your first contributions in the same year, so you don’t raise any red flags with the IRS. Once you’ve chosen a provider, adopted plan documents and set up your account, the only thing left to do with your Solo 401(k) is use it. You can do this by scheduling automatic, electronic contributions or by making a single contribution any time prior to your tax-filing deadline up to the $56,000 limit. In Traditional 401(k)s contributions are broken into employee deferrals, employer matching and profit-sharing. Because a Solo 401(k) has only one participant who is both employer and employee, contributions are generally all lumped together. However, they still can’t exceed annual contribution limits set by the IRS. You can make contributions throughout the year or all at once — even after year-end — so long as it’s before your tax-filing deadline for a given year. Once your account reaches $250,000 in assets, you will have new requirements including filing Form 5500. If you ever hire employees who become eligible for your plan, you will need to make adjustments to accommodate these new participants. Because Solo 401(k)s have one participant there are few administration requirements, but your provider will help you through each of the ones that are required, for a fee. Most providers charge custody fees plus mutual fund expense ratios and commissions for trading individual stocks, bonds or ETFs. You may also pay fees per fund you use or other fees to an alternative provider if you invest in things like real estate. Custodian fee ($25 to $50) – Charged by many providers to hold your 401(k) account. Trading commissions ($5 to $25 per trade) – You pay commissions if you set up your Solo 401(k) to trade stocks, bonds or ETFs. Mutual fund and ETF expense ratios (0.035 percent to 1.5 percent) – Funds automatically deduct expense ratios each year to cover the costs of trading and fund management. Administrative charges for self-directed ($200 to $2,000) – Charged by alternative providers that focus on specialty investments like real estate. These may be flat fees, a percent of your account value or a fee per asset in your account and can be as high as several thousand dollars per year. Like all types of accounts, Solo 401(k)s have benefits and drawbacks. When considering eligibility and the suitability of an Individual 401(k), business owners need to consider the advantages and disadvantages relative to other types of accounts. Keep in mind, however, that a Solo 401(k) is only going to work for business owners with no full-time employees. Solo 401(k)s are often the best option for people in certain circumstances with benefits that far exceed those available in other types of plans. Chief among those benefits is how easy it is to set up and administer a Solo 401(k). Keep in mind that some advantages of Solo 401(k)s, including tax-deductible contributions are available with other types of accounts. There are also some drawbacks to Solo 401(k)s that you need to be aware of. These drawbacks include having stricter compliance requirements than IRAs, which is one of the main options you may be looking at if you qualify for a Solo 401(k). 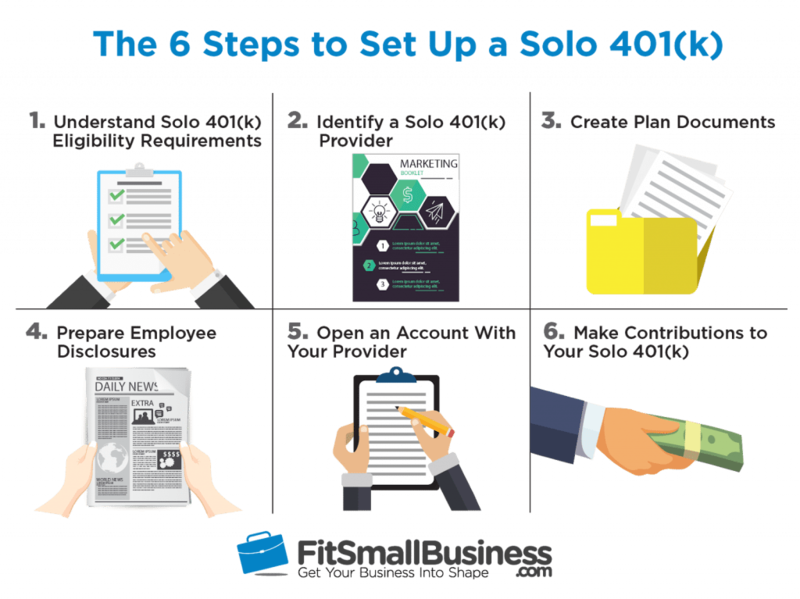 For more information on Solo 401(k)s, be sure to check out our article on Individual and Solo 401(k)s.
A Solo 401(k) isn’t right for all self-employed individuals. If you make more than $75,000 per year or can only afford to contribute a few thousand dollars per year, you may benefit more from a different type of account including a SEP or a Traditional IRA. Both offer advantages and, because they’re IRAs, they avoid the administrative costs of a 401(k). Opening a SEP IRA can be a great option for self-employed individuals and small business owners who plan to contribute up to 25 percent of income or $56,000. SEPs are a superior option if you make more than $75,000 per year, don’t plan to hire any employees in the future and want to avoid the headache of administering a 401(k). Traditional IRAs are the most inexpensive type of retirement account and the easiest to set up. However, at just $6,000 per year Traditional IRAs also have contribution limits far lower than other types of retirement accounts. Traditional IRAs are good alternatives for small business owners who want to contribute a few thousand dollars every year and can’t afford to match employee contributions or share profits. You can read our article on small business retirement plans to learn more about Traditional IRAs, SEP IRAs, and other popular options. What is a Solo 401(k)? Simply put, a Solo 401(k) is a 401(k) with just one participant — the business owner (and maybe his or her spouse). However, Solo 401(k)s have the same contribution limits as regular plans as well as more investment flexibility and fewer administration requirements because there aren’t additional participants. Can You Move an IRA Into a Solo 401(k)? It is possible to move assets from an IRA into a Solo 401(k) as long as it’s not a Roth IRA. However, it may not be advisable to roll IRA assets into a Solo 401(k) unless you are using a low-cost Solo 401(k) provider and may benefit from the cost savings of consolidating accounts. Can You Set Up a Solo 401(k) on Your Own? You have income from your own business. If you don’t have pretax income, you can’t contribute to a Solo 401(k). However, we recommend you use a Solo 401(k) provider to make sure you set up the plan correctly and to help you find the best investment opportunities.If you want to learn more about good providers of Solo 401(k)s, be sure to check out our article on the Best Solo 401(k) Providers for 2018. Can You Contribute to a Solo 401(k) and an IRA? It is possible to contribute to both a Solo 401(k) and an IRA so long as your aggregate contributions don’t exceed annual limits. However, if you have both a Solo 401(k) and an IRA, you are probably paying duplicate costs that you could avoid by eliminating one of them. How Much Can You Contribute to a Solo 401(k)? The Solo 401(k) contribution limit for 2018 is $56,000. However, you also can’t contribute more than your pretax income in a given year. Solo 401(k)s can only be used by business owners with no full-time employees. A Solo 401(k) can offer many benefits, especially if you make less than $75,000 or want to borrow against your plan assets. How to set up a Solo 401(k) is relatively straightforward. Once you decide on a plan and pick a provider, it can help with the rest. One of the most important steps in setting up a Solo 401(k) that meets your individual needs is picking the right provider. Spark 401k is an experienced provider of 401(k) plans. Opening a Solo 401(k) with Spark 401k has a one-time setup fee of $150 and ongoing administration costs start at just $25 per month. 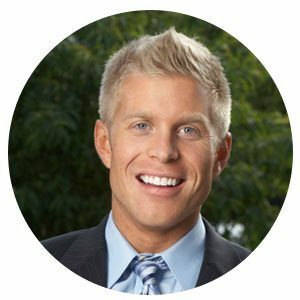 Dock David Treece is a finance writer and editor leading our team of writers in the Personal Finance, Insurance, and Real Estate Investing space. Before his tenure at Fit Small Business, Dock’s professional background was deeply rooted in the securities and investment advisory industry.